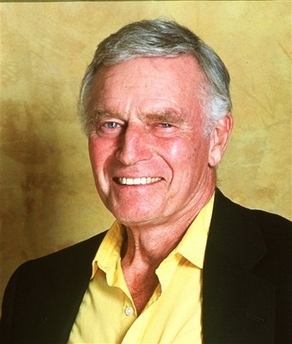 BEVERLY HILLS, Calif., April 5, 2008 /PRNewswire/ — Legendary actor, civil rights leader and political activist Charlton Heston passed away today, at the age of 84. He died at his home with Lydia, his wife of 64 years, at his side. Mr. Heston was loved by his two children, Fraser Clarke Heston and Holly Heston Rochell, and his three grandchildren, Jack Alexander Heston, Ridley Rochell and Charlie Rochell. “To his loving friends, colleagues and fans, we appreciate your heartfelt prayers and support. Charlton Heston was seen by the world as larger than life. He was known for his chiseled jaw, broad shoulders and resonating voice, and, of course, for the roles he played. Indeed, he committed himself to every role with passion, and pursued every cause with unmatched enthusiasm and integrity. We knew him as an adoring husband, a kind and devoted father, and a gentle grandfather, with an infectious sense of humor. He served these far greater roles with tremendous faith, courage and dignity. He loved deeply, and he was deeply loved. He had suffered from Alzheimer’s disease for several years. Heston’s Hollywood history was extensive, and included two roles he is most famous for: Ben-Hur, for which he won an Academy Awarrd in 1959, and Moses in the 1956 movie The Ten Commandments. His political activism, particularly on the issue of gun rights, was and is well-known by both those on the left (where in some quarters we are seeing a celebration of his passing today) and right (where respectful tributes are being posted). In 2003, a year after he announced he was suffering from “symptoms consistent with the early stages of Alzheimer’s disease,” President Bush issued him the Medal of Freedom. I should note that there are probably a lot more people talking and reading about the life of Charlton Heston right now than there are those who went to see Clooney’s football movie Leatherheads, which finished a disappointing third this weekend behind the movie 21, which took the number one spot for the second straight week, and the kids movie Nim’s Island, which stars Jodie Foster. What self-righteous nitwits like Clooney won’t tell you in their zeal to appear socially aware and hip is that, Heston was one of the early supporters of the Civil Rights movement, and reportedly was part of a Martin Luther King, Jr. march in 1963, while Clooney was still a two year-old typical whining baby in diapers (not much has changed). Heston switched his political affilation a couple of decades later, in part, over his disgust with Hollywood’s increasing obsession with political correctness, and because of his changed beliefs on issues like gun control to the point he strongly believed and advocated that ownership of a gun was a civil right. He was a three-term president of the NRA, and some of his more notable gun rights moments can be read/listened to/watched here and here. His famous “from my cold dead hands” quote came from a speech he made to the NRA right here in Charlotte in May 2000. I extend my thoughts and prayers to the family of this extraordinary man. Cross-posted from the Sister Toldjah blog. Photo courtesy of the AP.